My colleague, Edmund Dickinson, recently blogged about cyclic voltammetry, and how this can be modeled. 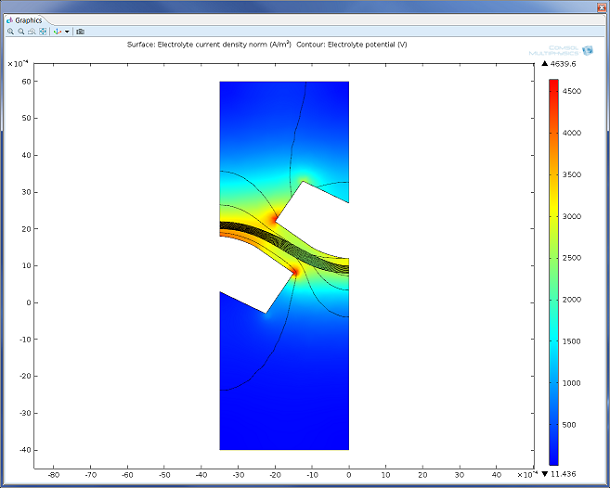 It was a fantastic blog entry, as it really described the application, and how to implement such models in COMSOL Multiphysics. 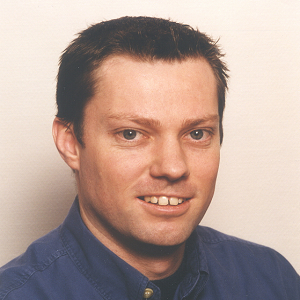 While Edmund has a background in electroanalysis, where cyclic voltammetry, potentiometry, and electrochemical impedance are important tools, I had a different but similar life before COMSOL, working within industrial electrolysis. For both of us, the new Electrochemistry Module would have been the perfect tool had it been around then, as it would have catered to each of our needs. The Electrochemistry Module enables you to model applications within electroanalysis, electrolysis, and electrodialysis. All these applications are influenced by electrochemical reactions, material transport, and the transfer current, but depending on the application, these participating processes may vary in their importance or effects. All possible ways to describe an electrochemical process are available within the Electrochemistry Module, and you can pick and choose which ones you would like to access and utilize, or include them all. Take electrochemical reaction kinetics, for example. This is a property that is of utmost importance to the electroanalyst, like Edmund. Being able to use a model to describe the kinetics for all participating reactions at an electrode surface is imperative to designers of gas and glucose sensors. There are so many parameters to consider about these kinetics: the effects of electrode potential (the driving force for electron transfer); the concentration of the reactants and products at the electrode surface; the shielding effects of non-participating species, like water, on this electron transfer; the ability for the electrocatalyst to receive or release these electrons; the active surface area of the electrode available for reactions to take place; temperature; and other factors. Figure 1: AC impedance is one of the tools electroanalysts use to extract quantitative information about electrochemical reactions. 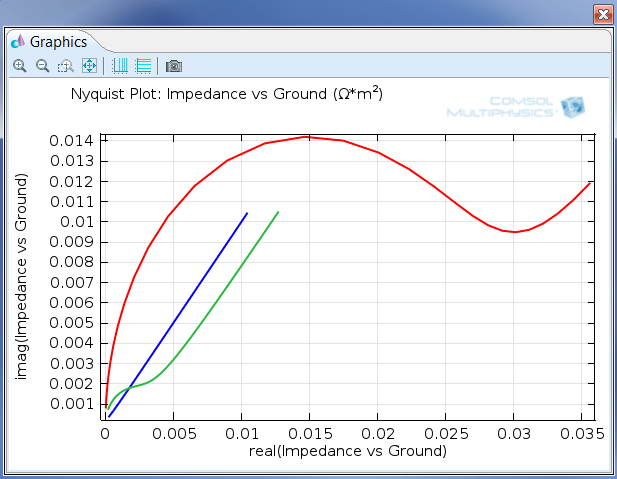 This image is of a Nyquist plot, and the Electrochemistry Module also allows for Bode plots to be made. These are encapsulated in terms known as exchange current densities, transfer coefficients (or symmetry factors), and overpotential. Together with other terms, these are all baked into variations of the Butler-Volmer equation. This is one of the features within the Electrochemistry Module that Edmund would have played with, comparing his models to experiments, and estimating the values of these terms. He might also have had to consider transport effects of the reacting and inert species as they move to and from the electrode, so that analytical measurements, as made by a sensor, accurately reflect the concentrations in the bulk solution. I, on the other hand, was more concerned with the mass and charge transfer occurring within an electrochemical cell as a whole. At the chlorate plant where I worked, a 10mV decrease in required operating voltage meant a two million dollar reduction in annual operating costs. Part of reducing these costs came from optimizing the amount of energy required to force the electrochemical reactions to occur. Usually, this involved finding the perfect electrocatalyst to assist in charge transfer, and surface conditions to maximize reacting area. This was invariably done by the electroanalyst in the lab, and appropriate electrodes were manufactured for the electrochemical engineer to then work with. Figure 2: Model of the charge transfer and potential drop in a secondary current distribution model of a unit cell from the chlor-alkali process. The Electrochemical Module also supports the modeling of processes assuming primary and tertiary current distribution. The factors in an electrolysis cell that I worked with involved making the current distribution over the length, breadth, and width of the electrodes as evenly as possible, while avoiding the unnecessary onset of electron-robbing bireactions. Optimizing the transport of species to and from the electrode was also very important, as the greater the transfer, the greater the operating current density (and material production) before reaching the limiting current density where other reactions and even arcing may occur. The structural integrity and operating lives of the electrodes, current feeders, and separating membranes were also important. Here, I would have utilized the features describing the electrochemical reactions, but would have coupled them to other equations describing fluid dynamics and homogeneous, non-electrochemical based reactions that were occurring in the electrolyte. A robust description of the material transport that occurs through convection, diffusion, and ionic migration (Nernst-Planck equation), would have also been included to result in a full description of the tertiary current density occurring at the electrodes. Fifteen years ago, I and other colleagues at our chlorate company, used many assumptions and computer programming to try to describe all of these effects, both in the lab and in the plant. If we’d had the Electrochemistry Module back then, we would have improved the process greatly and life would have been a lot easier.